On March 6, NASA's Dawn will become the first spacecraft to encounter a dwarf planet when it arrives at Ceres, the first (and largest) object discovered in the Main Asteroid Belt between the orbits of Mars and Jupiter. In January, NASA released these images of Ceres, pictures that clearly show its round and planet-like shape, and even some surface features. The pictures were taken from a distance of 147,000 miles, a little more than half the distance from the Earth to the Moon. On February 4, from a distance of 90,000 miles, Dawn took a series of images that were made into an animation with the best resolution yet: 8.5 miles per pixel. Ceres holds a lot of mysteries for us. For the better part of the two centuries since its discovery in 1801, we knew little more than its approximate size (590 miles in diameter), and only recently its generally spherical shape. Until recent observations by the Hubble Space Telescope, Ceres appeared through telescopes as little more than a blurry smudge. These new clues are tantalizing. Ceres appears to be composed of a rocky core surrounded by an icy mantle, and has been observed to exude gases into space, not unlike comets do as they approach the sun. It has even been speculated that Ceres could possess a sub-surface ocean of liquid water. Far from being a sterile, dry mountain of rock, as most asteroids are envisioned, Ceres has already exhibited some planet-like, or at least dwarf-planet-like, characteristics. What makes Ceres a dwarf planet and not just a very large asteroid, as it was classified for decades prior to the 2006 creation of the dwarf planet classification? 1. Ceres is round--spherical. It has to be round to be considered a planet or a dwarf planet. This is one of the qualifying factors of planethood: to be large enough and have sufficiently strong gravity to be pulled into a spherical shape. Smaller objects—comets and asteroids—fail this mark because the strength of their rock and ice structures overpower their weak gravitational pull. 2. 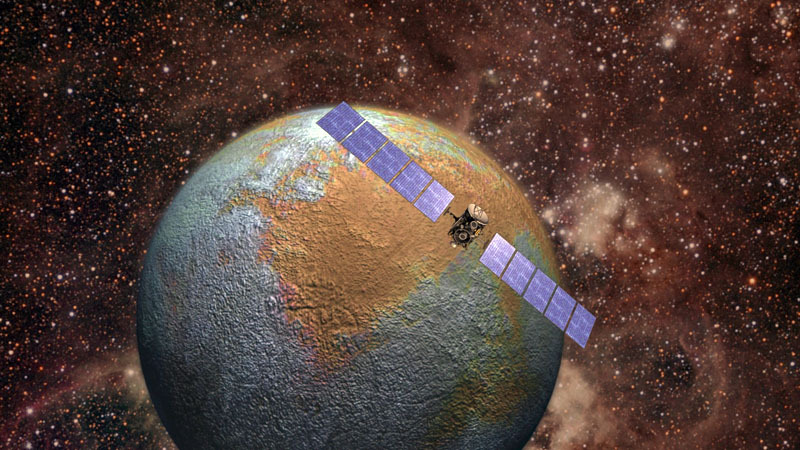 Ceres orbits the sun directly--you can't be a planet or a dwarf planet if you don't. There are moons in the solar system much larger than Ceres, and as round as any planet. In fact, if a moon like Ganymede or Callisto or Titan orbited the sun directly instead of orbiting a planet, it would probably be classified as a planet itself. Ganymede and Titan, in fact, are larger than the planet Mercury. If you meet these two criteria, you are eligible for dwarf planet status. Ceres lacks only one quality required for admission to the planetary club: it does not "dominate" the region of space that it moves in. Ceres orbits the sun within the Main Asteroid Belt, along with millions of asteroids that share the space. And even though Ceres possesses a third of the total mass of the Main Asteroid Belt, its gravitational influence on the Belt is not sufficient to command the motions of the smaller asteroids, either by pulling them in and accreting their mass, or flinging them to other parts of the solar system. On March 6, when Dawn arrives, we may not see many images right away. Dawn will make its final approach from the side of Ceres opposite the sun, so will only be able to view its dark side. But after the spacecraft settles down, in mid-April, Dawn will begin to observe the dwarf planet's illuminated side, and from a distance of 14,000 miles the resolution of the pictures it will send back will be fourteen times greater than those of the Hubble Space Telescope.